Sounds like it should a horrible mashup of bandwagon themes, but it’s actually one of the coolest things I’ve seen in a while. 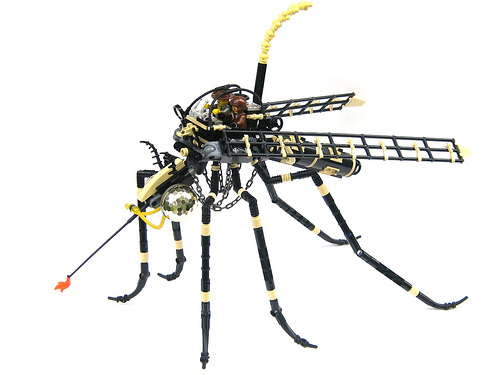 Nathan Proudlove built this steampunk battle bug for this year’s BrickCon in Seattle. Way to bring it. Looking forward to seeing it in person. The teeny-tiny flame it produces is a mighty testament to the actual capability of steam power! I kid, I kid. This thing is as awesome as the best battle bugs I’ve seen, and in a direction I wouldn’t even have anticipated. The little flame could be a pilot light, for all I know!